Caloy Ang and wife Charmaine set up Suds Laundry and Dry Cleaning in 2003 to get out of the rat race. “We were looking for something that’s a need and not a fad, and something that’s not too technical for new entrepreneurs,” Caloy recalls. So the couple, now in their 30s, decided to put up a laundry business although running one was new to them. “We talked to engineers, chemists, IT guys, manufacturing guys, graphic designers, and marketing guys to find out what’s going on and see if we could get ideas from the world outside of laundry, and use them to make the laundry industry better,” explains Caloy. For the Angs, these served as innovation cues for processes like tagging and inventory and supplies monitoring. More collaboration happened when the owners started franchising Suds in 2006. “We also talked to our franchisees who are our front-liners and who know what the customers need,” Caloy says. And that’s how Suds developed its own customer relationship management (CRM) software, which facilitates transactions, organizes the customer database, and helps manage the store in general. Through this software, the company is able to trace the customer’s transactions with Suds—from the days they visited, the services they availed of, the type of items processed, and their preferences. 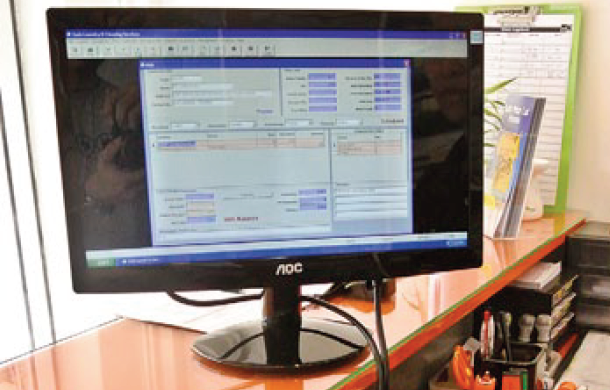 A customized CRM software has clear advantages over ready-to-use point-of-sale systems. Suds’ was “designed by us based on our experience in our first branch in Cavite,” says Caloy. It also helps in determining sales transaction for a certain period, amount of cash actually received, and monitoring for a loyalty program. It also helps the company be more systematic in handling customer expectations concerning a policy to compensate. “For example, if a shirt gets damaged, we work with the customer in determining the value of the item considering its age, price when it was brand new, and fabric type. We use a chart to determine its value and see if the customer agrees. This Fair Claims policy is actually not our invention, but based on a system in the United States. We’d very much want to see it used more in the laundry industry,” Caloy explains. Although the CRM software took four months to code and six months to debug, Caloy says efforts and investment were worth it. They are now working to update it to accommodate the input of a growing network of over 20 branches. This article was originally published in the July 2013 issue of Entrepreneur magazine and was recently updated by the online editor. Subscribe to the print or digital version here.